Autumn is my favorite season. Cool weather, gray skies, fiery colored trees, crunchy leaves, long sleeves, pumpkins, apples and warm spices are everywhere. I look forward to spending time with family and feasting on comfort food every Thanksgiving. And every fall I start crafting away on homemade gift projects like vanilla sugar, vanilla extract and sugar scrubs. This year I thought I'd switch it up and try my hand at naturally scented sachets. My younger sister and I used to buy them for my aunt every year for Christmas because she loves potpourri, but now that I look back on it, I'm sure they were filled with synthetic fragrances. I'm making a slow but concerted effort to remove products from my home that contain toxins, and some of the worst offenders are sprays, air fresheners, candles and cleaning products. Most are filled with phthalates, which are hormone-disrupting chemicals. Unfortunately, there are hundreds if not thousands of other chemicals in fragrance products, but there's no way of knowing everything in them. Companies are not required to reveal their ingredients list because they're considered "trade secrets." In lieu of this, I'm relying on essential oils for my yummy scent fixes and I couldn't be happier. 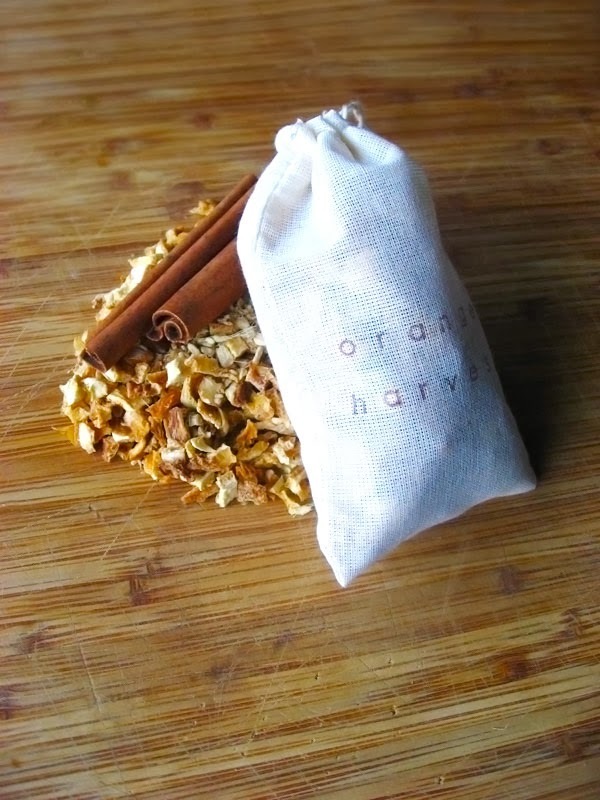 There are an array of oils and dried herbs to experiment with in homemade projects, but since it's still autumn, I wanted to create a scented sachet with clove and cinnamon--two of my favorite warm spices. To mix it up, I threw in dried orange and lemon peel and thus my orange harvest mixture was born. This sachet smells so good that I keep one by my desk so I can sniff it throughout the day (hehe), but they're perfect for storing in your clothes drawers, closets and bathrooms to keep everything smelling fresh. Of course with any DIY project involving essential oils, let your nose guide you. Some folks are more sensitive to certain smells than others, so start with a small amount and work up from there. 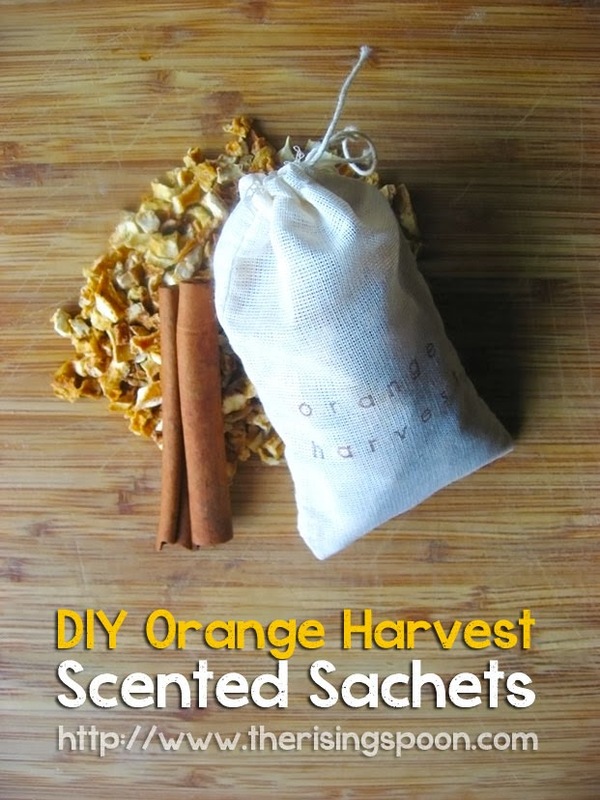 Learn how to make your own non-toxic scent sachets using dried fruit peels, spices and 100% pure essential oils. Use them to keep your clothes, closets and bathrooms smelling fresh without commercial products, which use synthetic chemicals. They're perfect for using all year round and make a delicious smelling homemade holiday gift. Note: If possible, I recommend using organic products to avoid pesticides and other chemicals. Also, make sure you're using 100% essential oil, not fragrance oil. Click here to learn why I only recommend & use therapeutic grade essential oils. Break each cinnamon stick into four pieces so that it will easily fit in the muslin bags. Combine all dried ingredients into a bowl and add in each essential oil. Toss thoroughly with your hands or a wooden spoon to distribute the essential oils. Smell the mixture. If it's not strong enough, add one more drop of each oil (or your favorite among the bunch). If it's too strong, add in more orange peel, lemon peel and ginger root. Scoop the mixture into a muslin bag using a spoon or a funnel. The bag should be about 3/4 full, but you can add less or more if you want. Secure the tie tightly so nothing spills out and store in your favorite place around the house. If you want to use rubber alphabet stamps to decorate the muslin bag like I did by adding "Orange Harvest", do this before adding the scented mixture. What's your favorite potpourri scent? 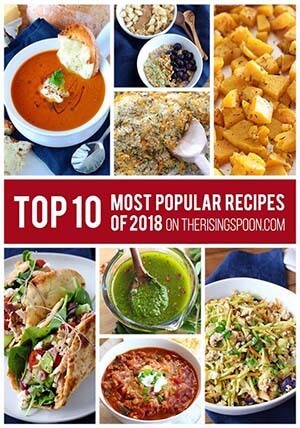 Would you ever make something like this at home? 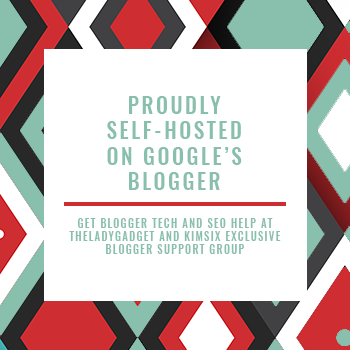 You can also find this post at Small Footprint Fridays, Freedom Fridays, and Outside [The Box], Mom 2 Mom Monday Link Up, Inspire Me Monday, You're Gonna Love It Tuesday, Treasure Box Tuesday.